Jade will be here THIS WEEKEND!! I’m so excited to have such an accomplished teacher willing to travel the distance (all the way from Florida) to share her knowledge of Ashtanga Yoga. Don’t miss this opportunity to deepen your understanding about the practice of yoga and strengthen your personal practice. You don’t need to know Ashtanga Yoga to attend any of the classes/workshops, it’s a learning environment. Please register online today! We need to have at least 6 students per class for the classes/workshops to make so spread the word and bring a friend! Did you know that revolved/twisting postures improves the strength and flexibility of your spine? Yoga practice asks us to manipulate our joints in the fullest range of motion. It also asks us to move our bodies in ways that may seem challenging, if not impossible. 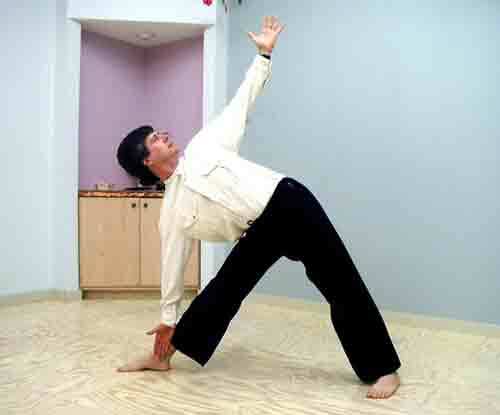 Spiraling twists and binds are some of the more common poses that students struggle with. In this workshop, we will explore the functionality of the shoulder girdle and muscle actions, the different sections of the spine and limitations. Then apply what we learn to asana such as utthita trikonasana, parvritta parsvakonasna, ardha baddha padmottanasana, maricasana a-b-c-d, pasasana. Meditation is the art of being fully present in the moment. Numerous studies now show the amazing benefits of this most ancient of practices, including physical health, improved cognitive abilities, and emotional wellbeing. Learn the basics of Meditation and then practice a variety of styles including: Eating Meditation; Walking Meditation; Breath Awareness; Detached Observation, Mantra, and Vipassana. No previous experience required! Hips and shoulders are notorious for creating problems for yoga students. Learn a variety of stretches to help you liberate your true potential. This class will focus on opening hips and shoulders using stretching strategies including PNF, Active/Isolated and Passive Stretching, while maintaining the integrity of the torso and protecting the knees and other extremities. We will also explore the use of sand bags, rollers, walls, chairs and other props to accelerate success. We will address how to work with injured or traumatized joints and muscles to ensure safe and sustainable progress. Finally, we will address the problem of tight hips and shoulders at its source… the Sensory/Motor cortex of the brain and practice techniques to help re-map range of motion in the brain resulting in immediate and lasting increases in effortless range of motion for both the hips and shoulders. Yoga Nida, sometimes called ‘yogic sleep’, is an ancient practice that was introduced to the West by teachers like Satyananda Saraswati and Swami Rama in the 1960’s. It is said that one hour of Yoga Nidra can replace 4 hours of regular sleep. Yoga Nidra is typically practiced in 8 stages. After a gentle asana practice, we begin in Shavasana with a guided relaxation. Next we repeat pre-determined affirmation called a Sankalpa. The third step is called the rotation of consciousness which is followed by breath awareness. The fifth step is called the manifestation of opposites. Then we enter into creative visualization. To close, the sankalpa is repeated, before starting a very gradual return to normal consciousness. Charles has practiced Yoga Therapy for over 20 years. In that time he has learned how to adapt classic yoga poses to help prevent and/or alleviate back problems. 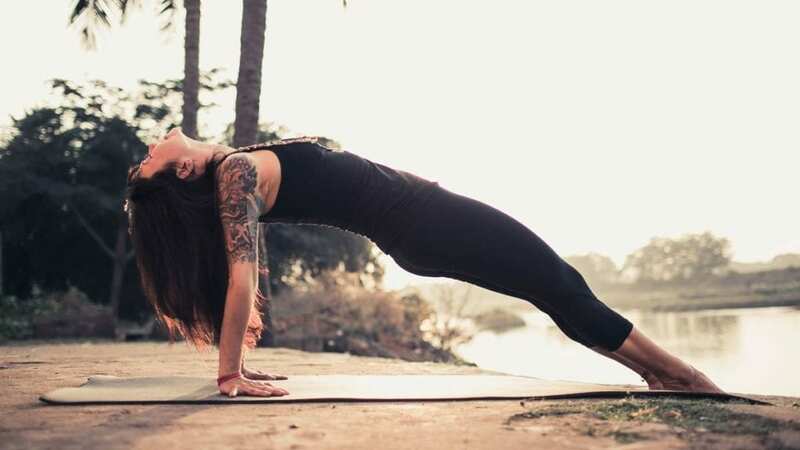 Learn not only which asanas and modifications will help lead you to a healthier back, but more importantly, how to practice these asanas to maximize potential benefits, safely increasing range of motion, strength, control and awareness of the back. General principles of yoga therapy addressed in this workshop can be applied to any asana or any type of injury. This workshop is suitable for all levels of students, and for yoga teachers wanting to learn how to work with injured students. 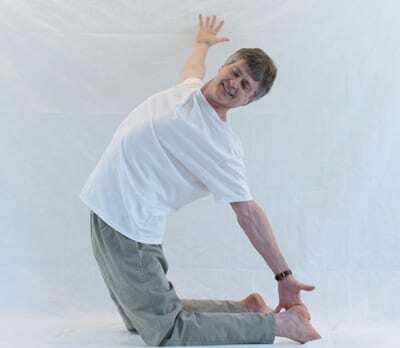 Charles F. MacInerney, E-RYT-500, has practiced Yoga since 1971. He is known for his fun and playful teaching style as he leads students into a deeper understanding and appreciation for yoga. 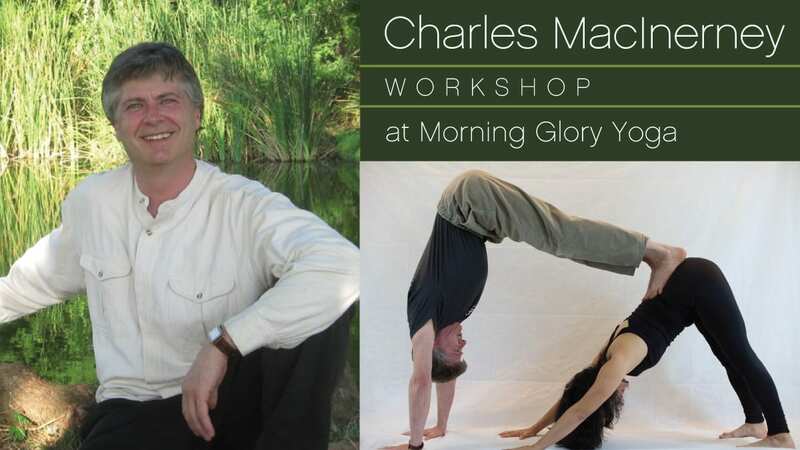 Charles is a gifted generalist and as one studio owner put it, “the most out-of-the-box thinker that I know.” He started teaching full time in 1989. He is a pioneer in laying the foundation for Yoga’s growing popularity in Texas. 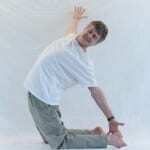 In the early 1990’s he was the first Yoga teacher in Central Texas to bring yoga into schools (A.I.S.D. & E.I.S.D), 4 universities including the University of Texas where he worked with students, faculty, administration, dormitories, Women’s Athletic Program (Track, Gold and Volleyball teams), and departments of Dance, Music, Kinesiology. He introduced yoga to four hospitals and set up two Cardiac Yoga Programs (Seton Hospital and The Austin Heart Hospital). Charles also led the way in bring yoga into the workplace. His clients include numerous Government Agencies, IBM, Motorola, Apple, 3M, and Sematech. He teaches ongoing yoga classes in Austin, offers yoga workshops at studios around the country, and leads Yoga & Meditation Retreats as well as Yoga & Writing Retreats throughout the US, Mexico, Costa Rica and Guatemala. He is the founder of Expanding Paradigms through which he regularly presents at National and International Conferences. He has written articles for numerous magazines including the Yoga Journal. In 2014 he presented at the International Association of Yoga Therapy conference in 2014. 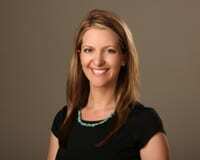 Charles is also the Founder of the Free Day of Yoga, Living Yoga Teacher Training Program, and the Texas Yoga Retreat. 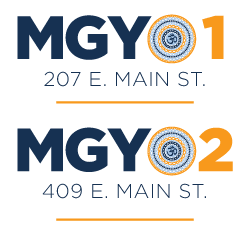 Please visit his primary website at www.YogaTeacher.com, contact him by email: charles@yogateacher.com, or call or text Charles at 512-459-2267.